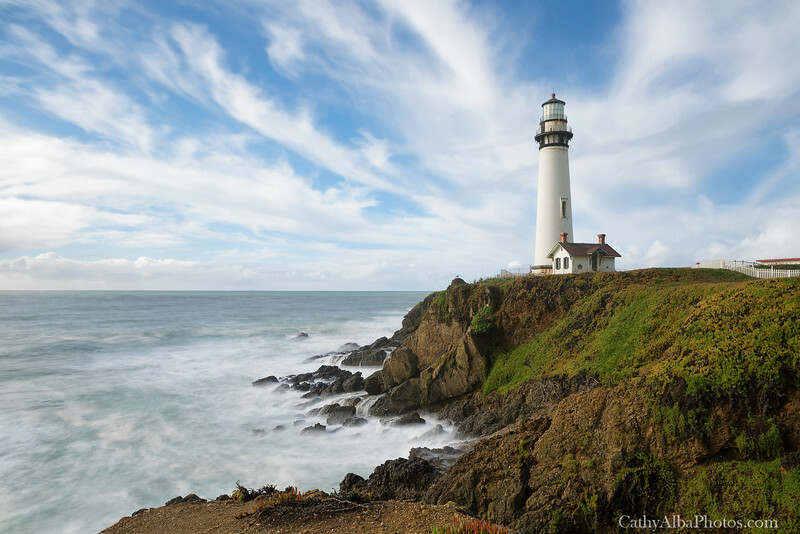 Pigeon Point Lighthouse in Pescadero, Calfornia...Let me just say Wayward Imagery​ and I had to work for these shots! We arrived in darkness on a stormy night in January only to be told there was no power at the lighthouse and hostel. We literally unpacked by flashlight with no dinner and miles away from any restaurants and this was my first experience staying in a hostel. :P Days of rain thwarted our efforts of getting any great shots but finally on the day we were leaving and had the car packed up the sun came out. We stood on the cliff finally able to use our Lee filters and shot away!! !